School Assignments: What are inherent moisture (IM) and total moisture(TM.) in coal? Here is the place where solution to the assignments can be found. Leave a message if you do not get the solution. My best efforts will be resolve your problem ASAP. When coal is traded in its specifications two types of moisture values are mentioned. This is very important as it affects the cost of fuel per unit of power generated or per kg of steam produced by the boiler. i.e. it affects the boiler efficiency. 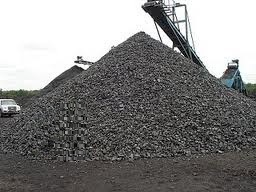 The moisture in Coal consists of two parts. One is the moisture held within the molecular structure of the coal called “inherent moisture.” Removal takes place only at temperatures greater than 100 deg C.
TM – IM is the surface moisture, which is not liked by boiler engineers. What are the four possible forms of inherent moisture?